1Estudante Graduação em Ciências Biológicas da Universidade Federal da Paraíba- UFPB; 2Estudante de Pós Graduação em Ciências Biológicas da Universidade Federal de Pernambuco- UFPE. 3Estudante de Graduação do Curso de Ciências Biológicas da Universidade Federal de Pernambuco- UFPE; 4Estudante de Pós Graduação em Ciências Farmacêuticas da Universidade Federal de Pernambuco- UFPE; 5Estudante de Pós Graduação em Biotecnologia da Universidade Federal de Pernambuco- UFPE; 6Docente/ Pesquisadora do Departamento de Antibióticos da Universidade Federal de Pernambuco- UFPE. Introduction: Chronic noncommunicable diseases are the major cause of death in developed countries. The uses of plants in ethnopharmacological studies have been carried out in order to find biologically active compounds for the development of new pharmacological agents that minimize the toxic effects caused by the available drugs. Petiveria alliacea L., a family species of Phitolacaceae, is commonly used by folk medicine in the therapy of various disorders, including chronic diseases. Objective: This study aimed to carry out an ethnobotanical study on P. alliacea L. in the Milagres-CE community, relating preparation methods and indications for the treatment of chronic disorders by traditional communities. Methodology: Study period was from February to April 2016. A questionnaire was applied to a sample of 30 random residents from the region. Results: Parts most used by the interviewees are the leaves, whole plant, the root associated with the leaf and only the root. Regarding the therapeutic indications, 50% reported using the plant in the treatment of rheumatism, 30% in the treatment of arthritis and 20% in the treatment of non-chronic diseases. Conclusion: Results of this study provide a basis for the use of P. aliacea in folk medicine in the treatment of chronic diseases. 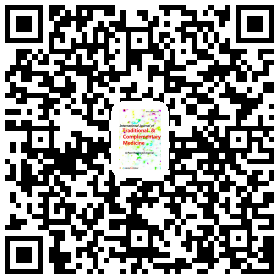 Keywords:Chronic non-communicable diseases; Medicinal plants; Petiveria alliacea L.